The cricket at Woodlands was watched closely by N8N sports writer Sally Moore who filed this report. 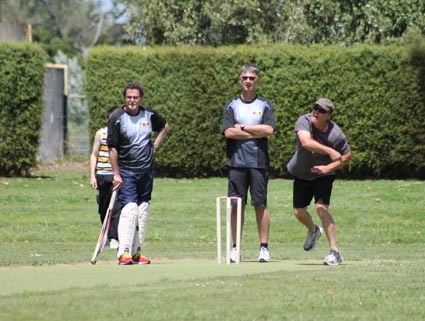 After a couple of losses the Woodlands Cricket Club got some points on the board with a decisive victory over Waikato District Council. 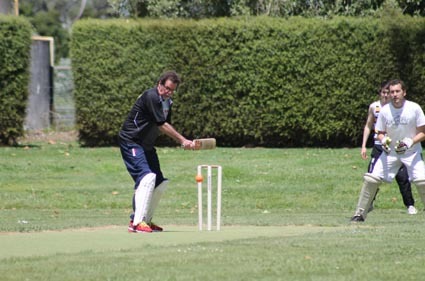 The win was due to a fine innings by debutant Graham Barlow (31 ret’d) and some destructive if somewhat wayward bowling. Batting first, Woodlands reached 125/5 with Andrew Gurnelll also among the runs, caught on 29 just before being called to retire. 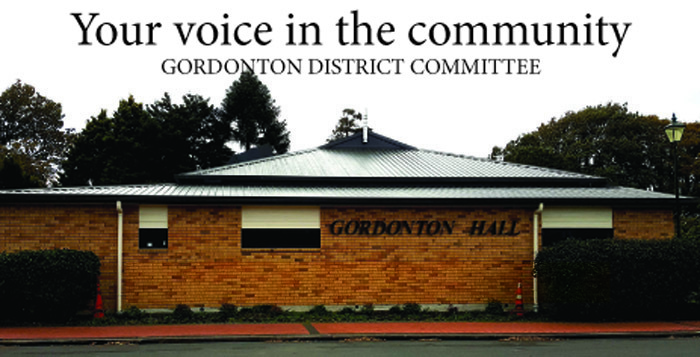 With a big chase on their hands, Waikato District Council never really got going. Top score was extras, mainly wides, which totalled 42. Wally was the best of the batsmen, with 18, then Vishal who reached 11. Jenny, the only star female, reached 3 though someone whispered she beat her boss. 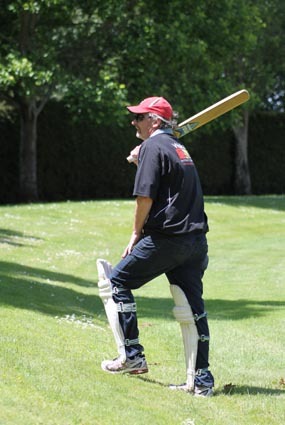 Alan the mayor batted twice but even that wasn’t enough and the team was dismissed for 104. Best play of the day was Laurence’s one-handed catch. The day started with rain, wind and the kind of chill one would expect in August. The afternoon called for sunhats, iced drinks and sunscreen. Thanks to both team captains and Rod Wise for superb organising. And thanks also to the two umpires who were on their feet all afternoon. WDC were very well presented in their corporate gear which also was used for the Oxfam walk. Jenny drew the short straw to clean them all!